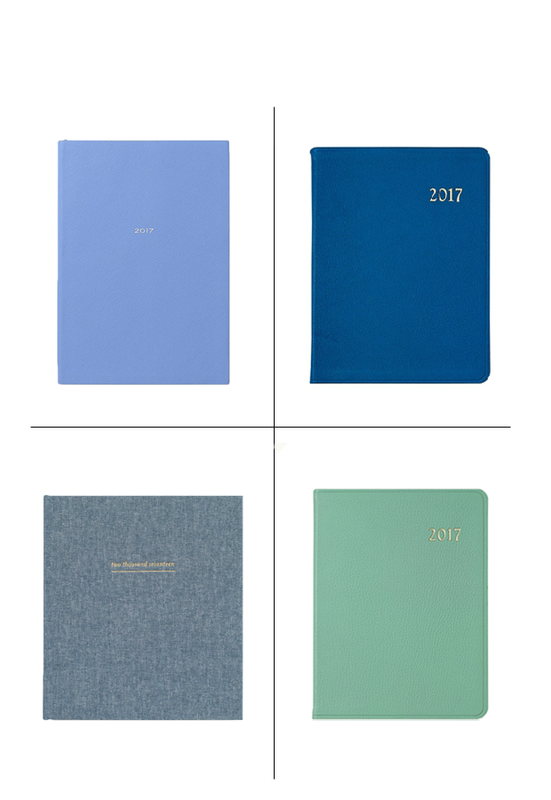 Every January after the holidays have come and gone, I love to order a new agenda for the year and get organized. It’s amazing how on December 1 we are all chomping at the bit to deck the halls with silvery tinsel and fresh garland, and come January 1 we quickly pack it all up and greet the New Year with a clean slate. 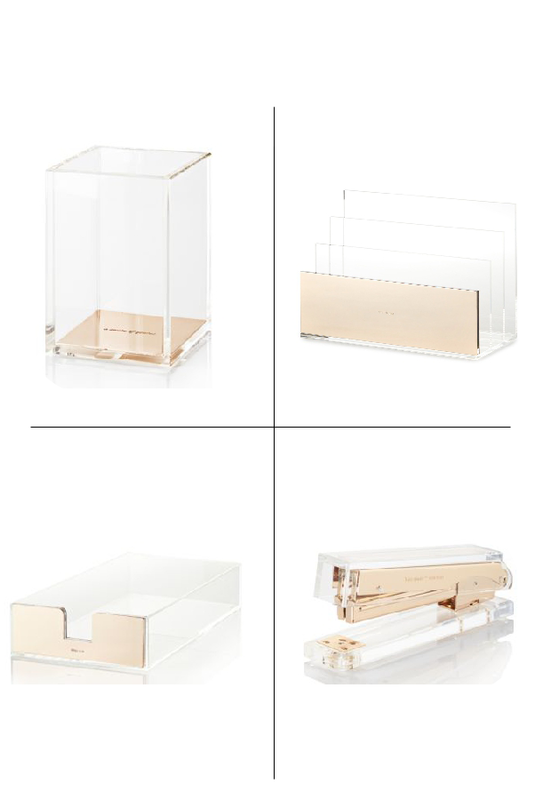 I usually treat myself to one of these agendas (always in blue, my favorite color), and I also have my eye on the chic gold and lucite desk accessories below. Cheers to a great week and happy new year!